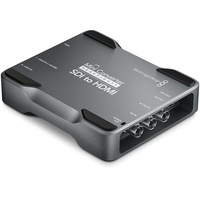 Mini Converters feature the latest 3 Gb/s SDI technology that operates at twice the data rate of normal HD-SDI. 3 Gb/s SDI is fully compatible with all SD-SDI and HD-SDI equipment, so you can connect to your existing equipment. 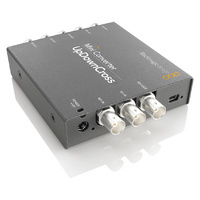 Mini Converters detect the video input and automatically switch between formats. 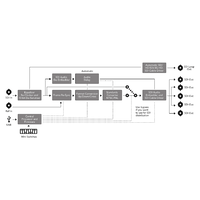 Relevant models include redundant SDI inputs that are perfect for mission critical live events because you can run redundant cables for critical video paths. Should the primary connection fail then Mini Converter switches instantly to the secondary connection! 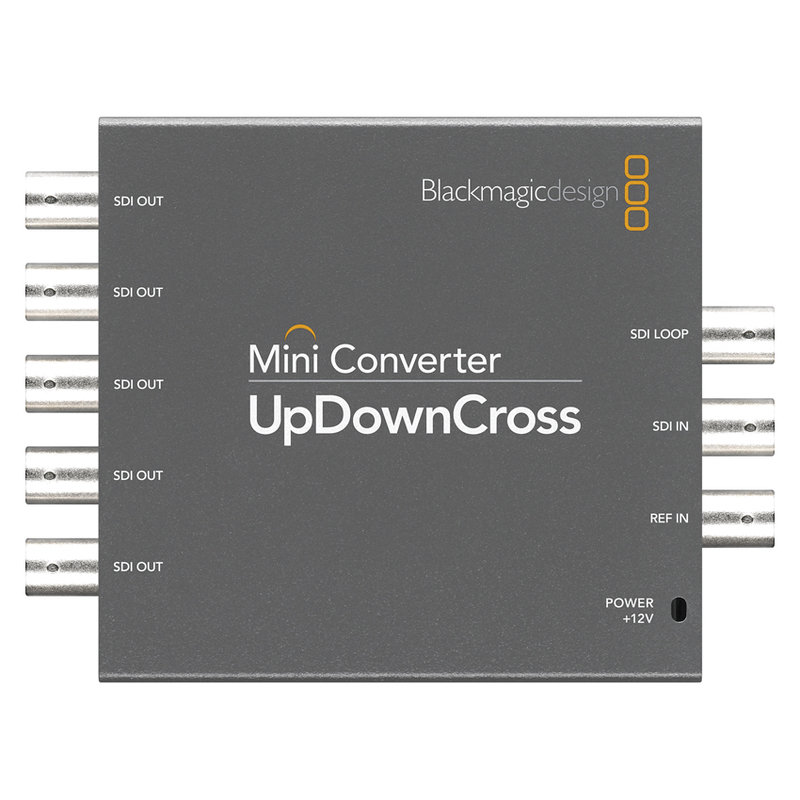 Changing Mini Converter's built-in mini switch settings is as easy as using a pen! This is great when you need to change settings quickly as there are no complicated menus to navigate! You can also control settings using the included Converter Utility software. Connect a Mini Converter to any Mac OS X or Windows based laptop or desktop computer! All models can be updated via USB 2.0 by simply downloading software upgrades directly from the Blackmagic Design website. With the highest quality video processing, Mini Converters are ideal for all broadcast, post production and professional AV applications. Multiple internal power supplies ensure incredibly low noise levels when moving between analog and digital video formats. 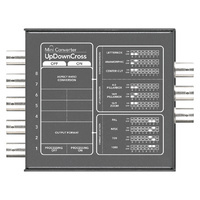 Specific models include up/down/cross conversion that lets you move easily between PAL and NTSC SD video standards and the high number of HD formats in 720 and 1080 horizontal resolutions. Broadcast, post production and professional AV environments are built using SDI equipment and cabling. 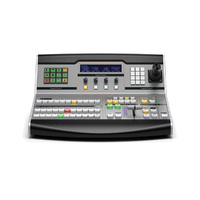 It's essential when converting to and from SDI that you maintain the highest possible video and audio quality. 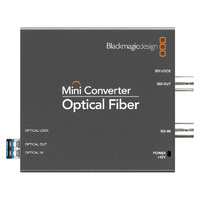 Mini Converters are compact, affordable and easy-to-use. Settings can be changed quickly using built-in mini switches, and with a diagram showing pin settings printed on the back you never need to refer to a manual! 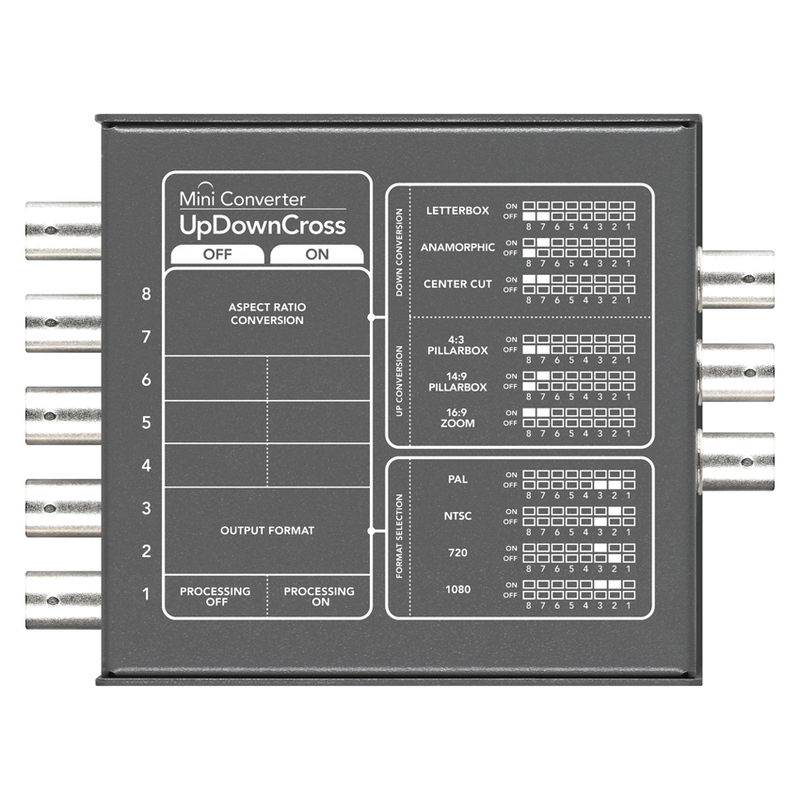 Mini Converters use standard connections, so you get the convenience and cost savings of using your own cables!